Do you know, you can absorb the benefits of Vitamin D naturally by exposing the skin on your face and arms to the sun just fifteen minutes a day, three times a week? The ultraviolet rays of the sun will change a cholesterol compound in the skin to transform in a precursor of vitamin D. It's no wonder this vitamin is known as the sunshine vitamin. 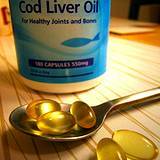 The form of vitamin D that we get from food or supplements is not fully active. It requires conversion by the liver, and then by the kidneys, before it becomes fully active. This is why people with liver or kidney disorders are at a higher risk for osteoporosis. Vitamin D is a fat-soluble vitamin, is required for the absorption and utilization of calcium and phosphorus by the intestinal tract. It is necessary for growth and development of bones and teeth in children. It protects against muscle weakness and is involved in regulation for the heartbeat. It is also important in the prevention and treatment of osteoporosis and hypoglycemia, enhances immunity, and is necessary for thyroid function and normal blood clotting. Intestinal disorders and liver and gallbladder malfunctions interfere with the absorption of Vitamin D. Some cholesterol-lowering drugs, antacids, mineral oil, and steroid hormones (cortisone) also interfere with absorption. Thiazide diuretics such as chlorothiazide (Diuril) and hydrochlorothiazide (Esidrix, HydroDIURIL, Oretic) disturb the body's calcium/vitamin D ratio. Do not take Vitamin D without calcium. Toxicity may result from taking amounts over 65,000 international units over a period of years.